Perfect for negotiating narrow city roads or touring the countryside, this new crossover SUV combines unique, stylish KODO design and our innovative SKYACTIV Technology, with comfort and practicality to suit your busy lifestyle.  Wherever you go you’ll enjoy the ideal driving position, steering and handling that make you feel at one with the car. Innovative MZD-Connect, our advanced infotainment system gives you easy, fingertip control over all your music, phone, navigation and vehicle settings and even provides internet app integration. And thanks to our award-winning SKYACTIV Technology, you’ll benefit from excellent fuel efficiency and low emissions without compromising on outstanding performance. Bold, simple and vibrant, the dynamic all-new Mazda CX-3 defies convention and creates a new standard for the ultimate driving experience. With its muscular shoulders and striking, bold appearance, all-new Mazda CX-3 offers a new approach to vehicle design. Sport Nav models feature chrome-accented side sill trims, rear privacy glass and 18" Gunmetal alloy wheels with three-dimensional contoured spokes, which promise to turn heads. A lightweight SKYACTIV-Body combines with two or all-wheel drive to deliver the sporty, ‘fun to drive’ performance you expect from Mazda. The flowing profile of all-new Mazda CX-3 gives an impression of energy in motion. Slim, sharp headlights sweep into Mazda’s signature wing to create an imposing front view. Signature lighting on Sport Nav models creates extra impact, featuring LEDs for high performance and efficiency. Designed with the driver in mind, the spacious interior of all-new Mazda CX-3 offers hand-crafted levels of quality. Sculptured soft-touch dashboard panels with colour co-ordinated stitching provide a luxurious finish to the interior. Our selection of exclusive seat trims offer you a comfortable and engaging drive, while the elevated seating position provides a perfect view of the road ahead. All-new Mazda CX-3 seats five in supreme comfort. And when you need to transport something larger, the 60:40 split-folding rear seats easily make extra room possible. The flexible cargo board provides even more functionality, allowing you to secure smaller items beneath the upper boot area, whilst also delivering a flat load space. Mazda's groundbreaking and award-winning SKYACTIV Technology has redefined the efficiency, power and performance of our cars. All-new Mazda CX-3 is no exception, combining the perfect balance of performance and efficiency, which continues to prove how we create cars that defy convention. SKYACTIV Technology is all about Fuel economy, low emissions and making driving more fun. Embracing all the technologies - engines, transmissions, chassis and body - it's an approach that completely reimagines the car from the ground up. 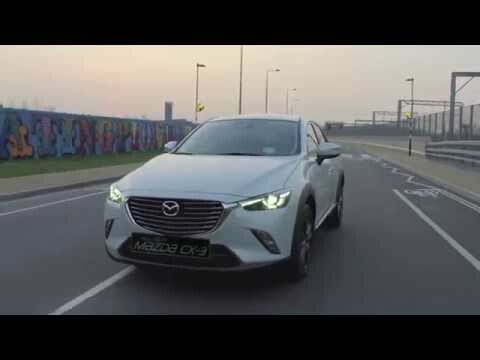 Coupled with innovations such as i-stop and i-ELOOP, SKYACTIV Technology enables all-new Mazda CX-3 to deliver a unique mix of driving pleasure, balanced with outstanding environmental and safety performance. Every feature inside all-new Mazda CX-3 reflects the attention to detail that our designers and engineers craft into every Mazda. An array of cleverly designed technologies — including the Active Driving Display, Multimedia Commander, premium Bose® audio and integrated satellite navigation system* are available to enhance your driving experience, wherever you decide to go and whatever the traffic conditions. All-new Mazda CX-3 contains an array of intelligent safety technologies that are designed to help you relax and enjoy the drive. Mazda's intuitive i-ACTIVSENSE technologies offer an intelligent collection of safety features that use sensors and a camera to monitor your surroundings and provide optimum protection and convenience. All-new Mazda CX-3 delivers on the 'fun to drive' without compromising your safety.